so there you have it.. supply and demand just like a real business.. which is what this is.. you can bet someone is making money.. It is about saving lives. 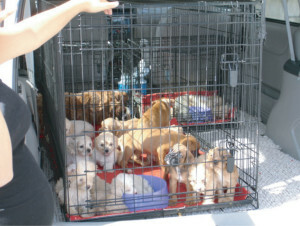 Transporting dogs from high kill/low adoption states saves their lives. Why not save lives? I don’t see anything wrong with saving lives by transporting them from where they will be killed to where they will be adopted into loving homes. Does NAIA actually support euthanizing animals when great homes can be found? And, to add, all this transportation is being done by volunteers and the supporters of the animals.